Teppanyaki at Osaka is the best! Hope everyone had a jolly good New Years! 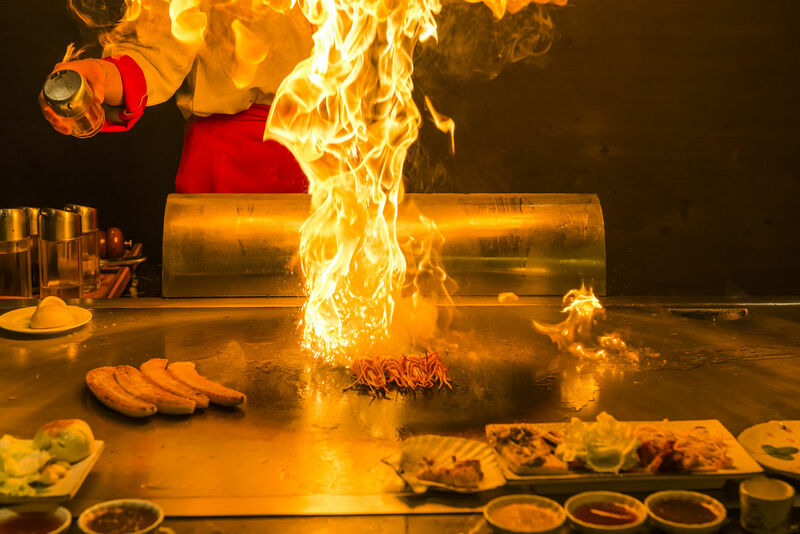 Today we want to discuss about Teppanyaki and why you should try it here in Las Vegas, the entertainment capital of the world. 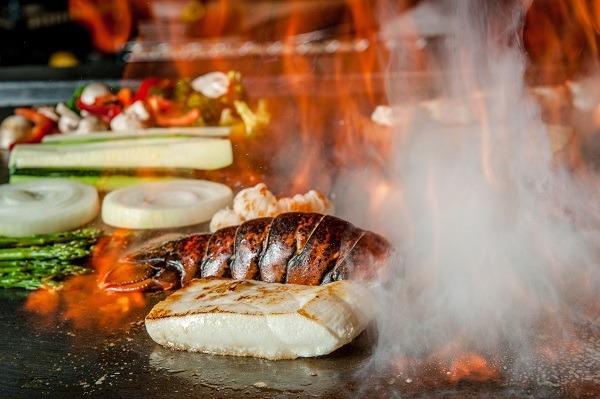 Teppanyaki is a combination of entertainment and dinner. We can guarantee that your dinner will be filled with juggling, fire from the grill, funny jokes, and that’s just the beginning. 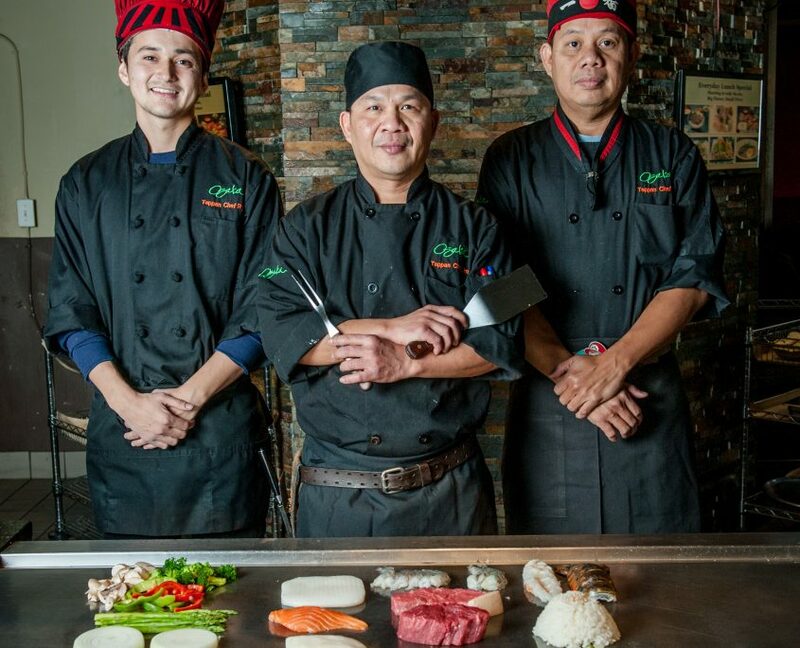 It all begins with our talented Teppanyaki chefs. They are highly experienced entertainers/chefs and they are trained to have you leaving with a smile. Don’t forget that these entertainers are also certified chefs, and there is no doubt that the food you will eat will be very enjoyable. There are a variety of different meat and veggie choices offered during the meal, such as beef, shrimp, fried rice, eggs, and more. A single-person dinner is usually complete with fried rice or noodles and a main entree. We highly encourage family outings! 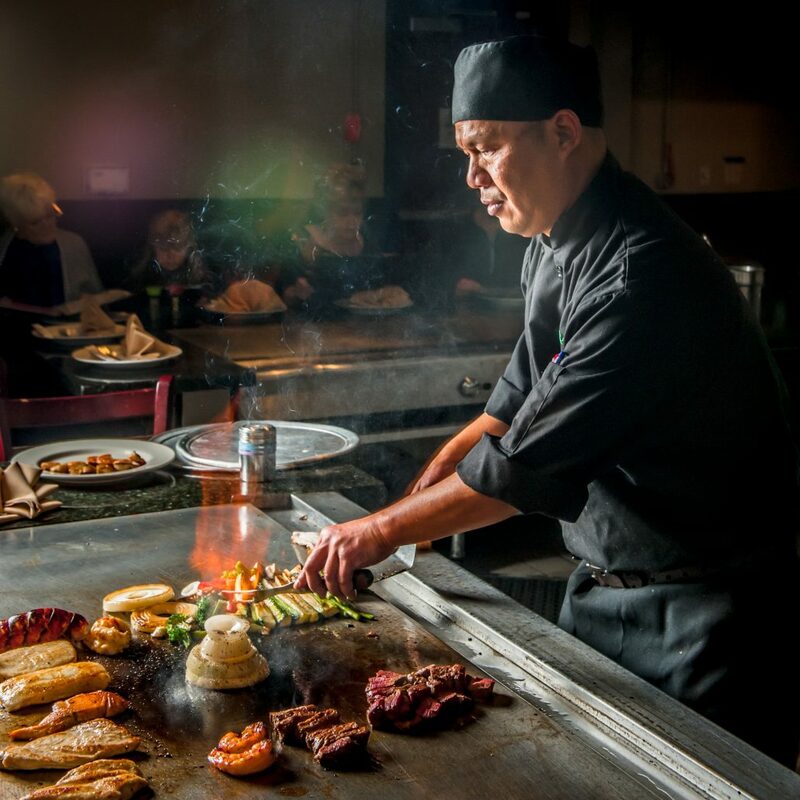 Teppanyaki dinners are open to people of all ages, so make sure to bring the whole family. Our Teppanyaki show will include juggling sticks on fire, egg spinning and tossing, and of course the iconic smoking onion tower. Feel free to take photos for social media and repost them for all your friends and family to see. In conclusion, you can be sure to receive a filling dinner and tons of fun when you dine at Osaka. Please come and join us for our teppanyaki dinner tonight! 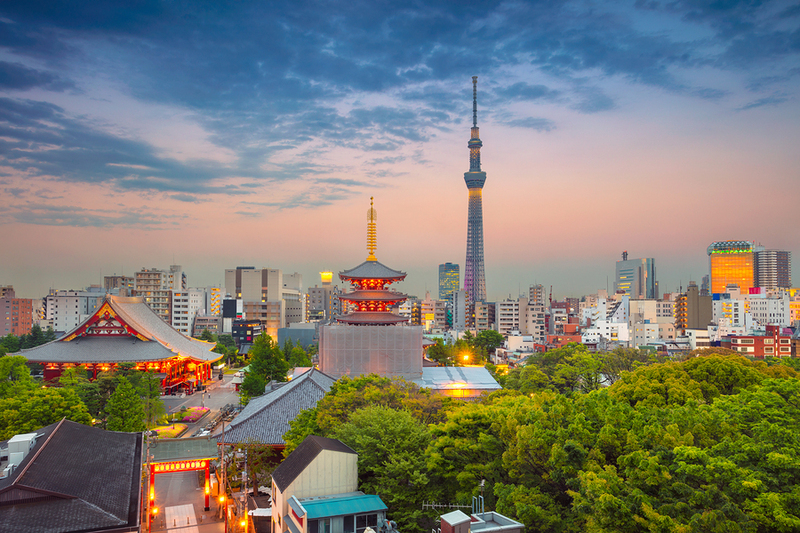 Japan is known for many things–Eye-popping scenery, cutting-edge technology, unique culture, and more. But many can argue that Japanese cuisine stands above all else. Any fan of Japanese sushi and ramen should pay a visit to Japan to experience the food for themselves. More importantly, if you are a self-acclaimed foodie, you need to visit the eating capital of Japan, which is Osaka. 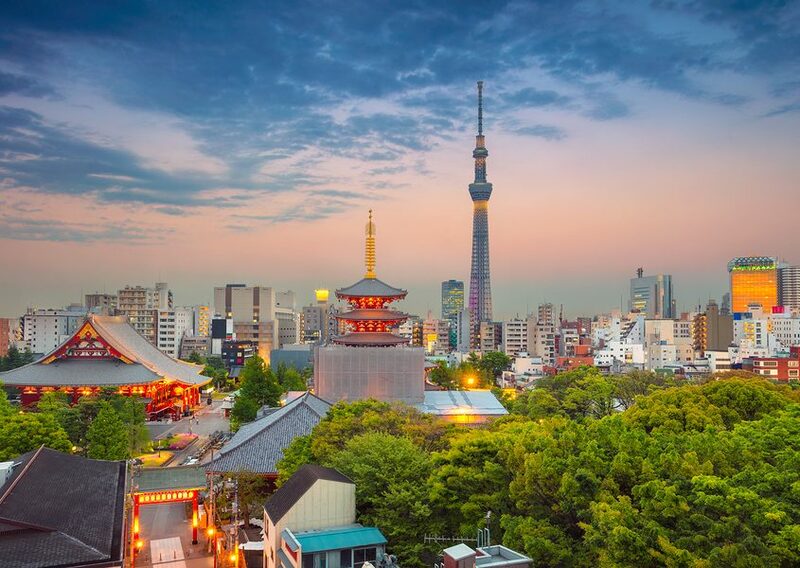 Tokyo is impressive, but what about Osaka? I’ve had the pleasure of visiting Japan earlier this year in the Spring. It was my second time visiting Japan in a span of six months. Prior to visiting Osaka, I had stayed in Tokyo. Near my hotel, I had probably the best beef tonkatsu I’ve ever had in my life. The tendons are so soft your brain may think you’re eating sashimi rather than beef, even for just a few seconds. Of course, no visit to Tokyo is complete until you visit the famed Tsukiji fish market, where you can find some of the best fish in the world. If you’re unfamiliar with the type of fish in sushi, you might want to check out our article about it here. Then I visited Kyoto and had Kyoto-style ramen. I’ve had many bowls of ramen in the United States and in Tokyo, specifically around Shinjuku where its ramen are popular. However, nothing compared to the ramen I had in Kyoto. Dontonbori during the Spring, 2018. I thought I had a pretty good idea of Japanese cuisine…until I visited Osaka. There was nothing that could’ve prepared me for what I experienced at Osaka. As soon as you get off the bullet train and enter Osaka, it’s almost like you’re visiting another country. 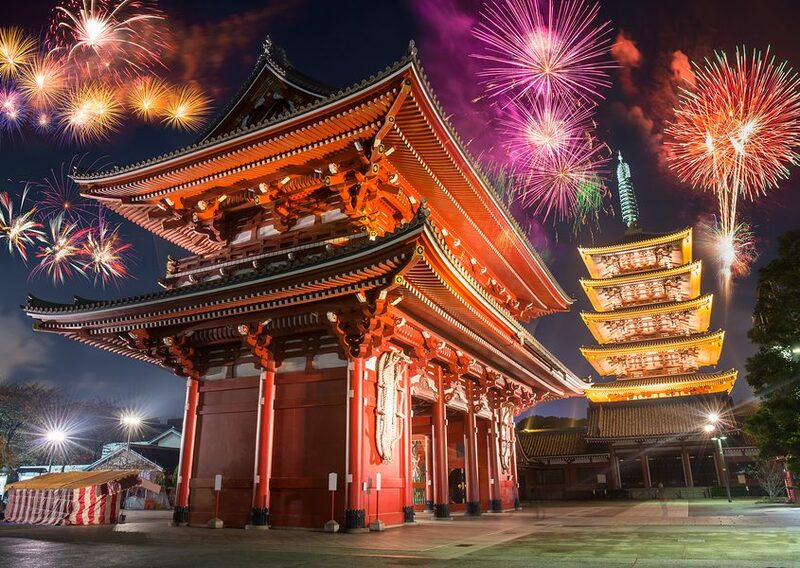 There are ancient castles that pierce through the skies along with modern skyscrapers and the dazzling lights of Dotonbori will impress even those accustomed to the Las Vegas Strip. 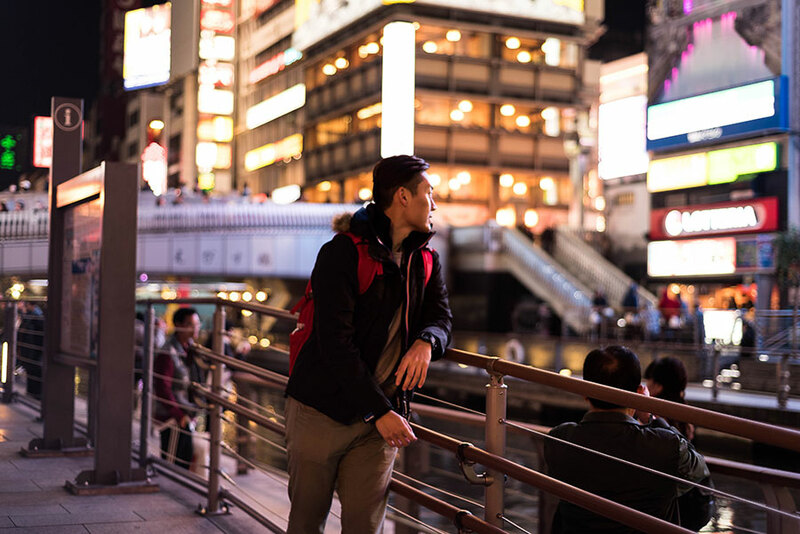 As you step inside the streets of Dotonbori, the allure of the city will absorb you. There is no doubt that Osaka is known for its marvelous street food. 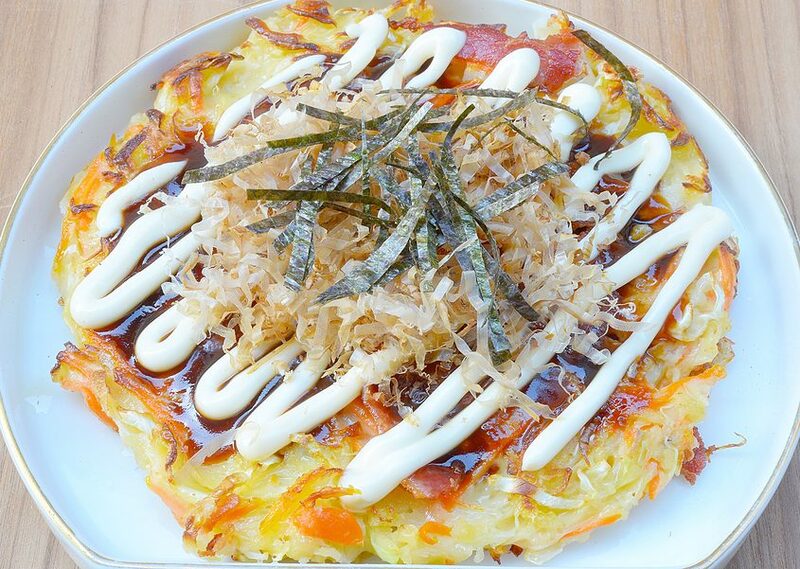 Whether you are a fan of okonomiyaki, takoyaki, or yakitori, you will be in street food heaven. Everywhere you turn is a tent smoking with a scent you simply can’t resist. 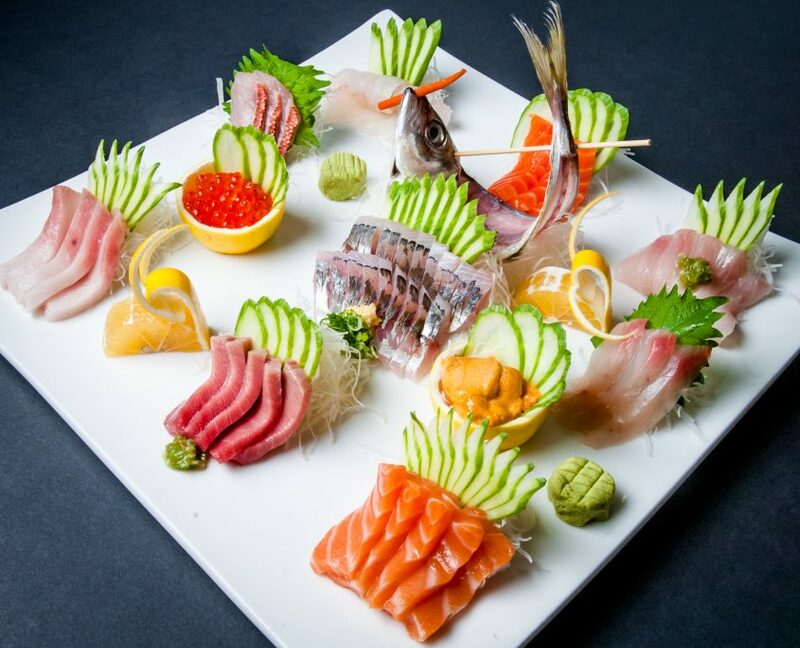 While Osaka Japanese Bistro here in Las Vegas is well known for its excellence in sushi, they boast a diverse menu that brings the elements of Osaka itself. If you can’t make a trip to Osaka in Japan anytime soon, that’s OK. You’ll find many common favorites such as takoyaki, kaarage (fried chicken), and gyoza from our late night menu. 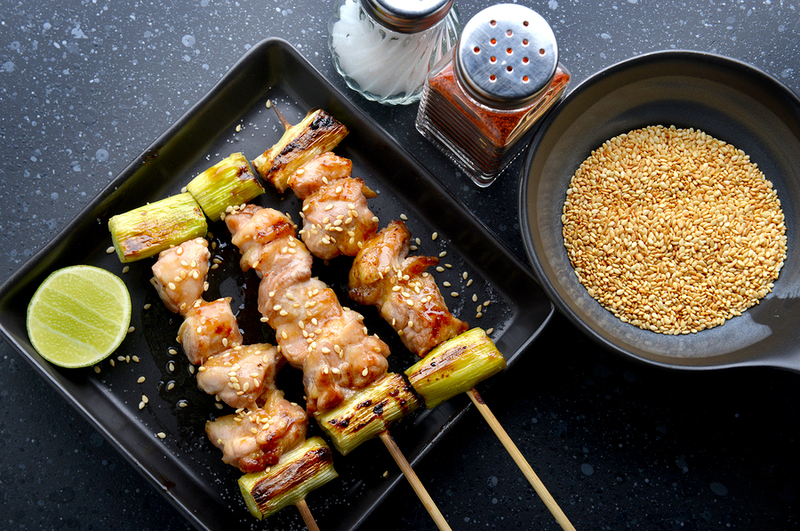 Are you a yakitori fan? Come and try our one of the dozen selections we offer at Osaka Japanese Bistro. Nothing will close to the food from Dotonbori for me, but Osaka Japanese Bistro is real close. But don’t just take my word for it, I urge you to come and try for yourself. What’s on the menu at Osaka Japanese Bistro in Las Vegas? A big bowl of Udon! 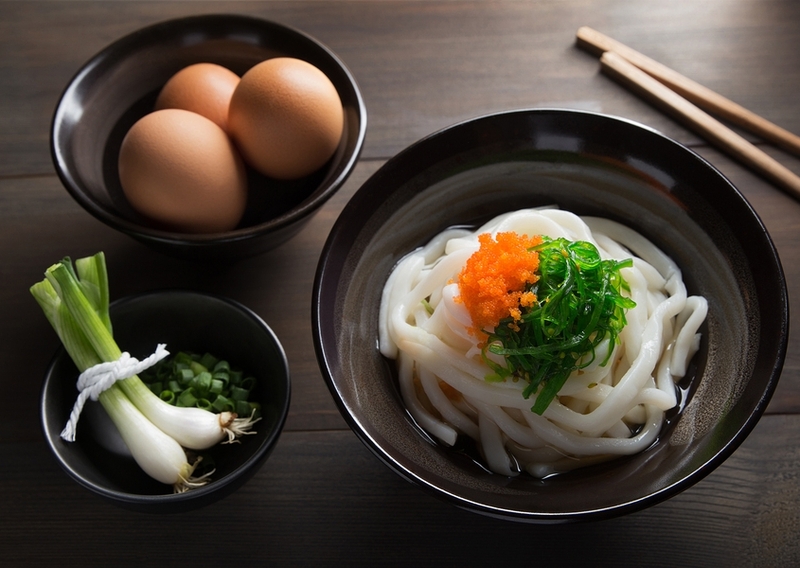 Udon is a thick, elongated Japanese noodle made with wheat flour. Its neutral flavor lends itself well to flavorful additions, such as soy sauce, chili pepper, sesame, ginger and scallions. Sounds simple, but udon noodles are one of the most popular noodles in Japan for very good reason! When properly seasoned, udon noodles are deliciously satisfying! 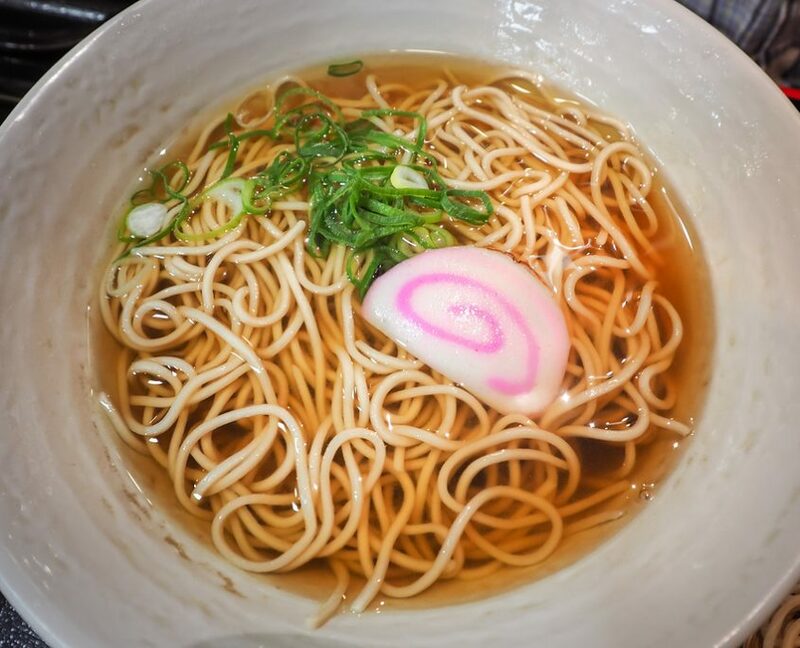 There are so many delectable Japanese noodles, so why choose a big bowl of udon when you visit Osaka Japanese Bistro in Las Vegas? Like much Japanese cuisine, udon noodles provide an abundance of health benefits that make them a wonderful source of nutrients. For starters, udon noodles provide complex carbohydrates. These are the “good” kind, which are processed slowly by your metabolism. This means that you will feel satisfied longer, which helps prevent overeating. Complex carbohydrates like udon noodles also aid in digestion of other foods, which is good for your digestive health. 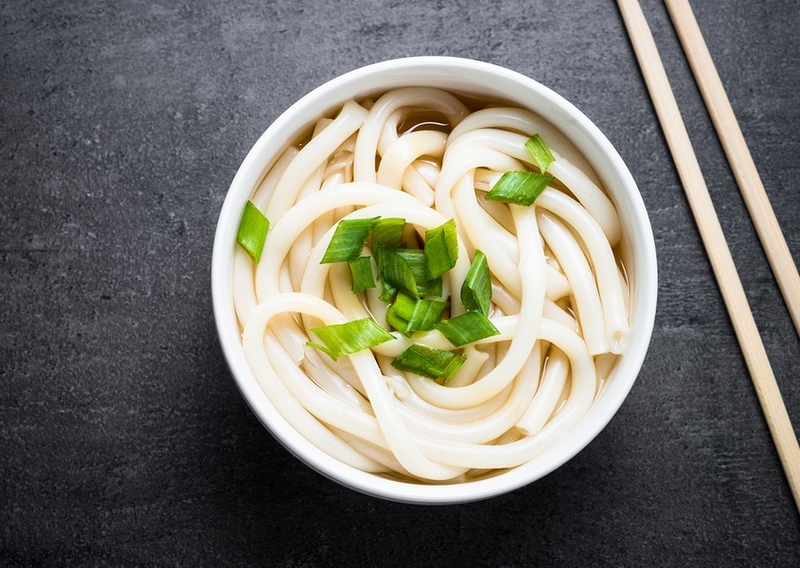 Udon noodles are rich in Vitamin B, including thiamine, riboflavin, niacin and folate. These vitamins help reduce stress and promote overall better health. How Did Udon Noodles Originate? Well, that depends upon whom you ask. One thing we know for sure is that the Japanese have been eating udon noodles for centuries, as part of their daily diet. Flour noodles probably originated in China and were introduced to Japan and were known as muginawa. One story claims that a Buddhist priest name Kukai introduced udon noodles in the Heian period. Another story claims that they were discovered by a Japanese envoy during the Nara era. 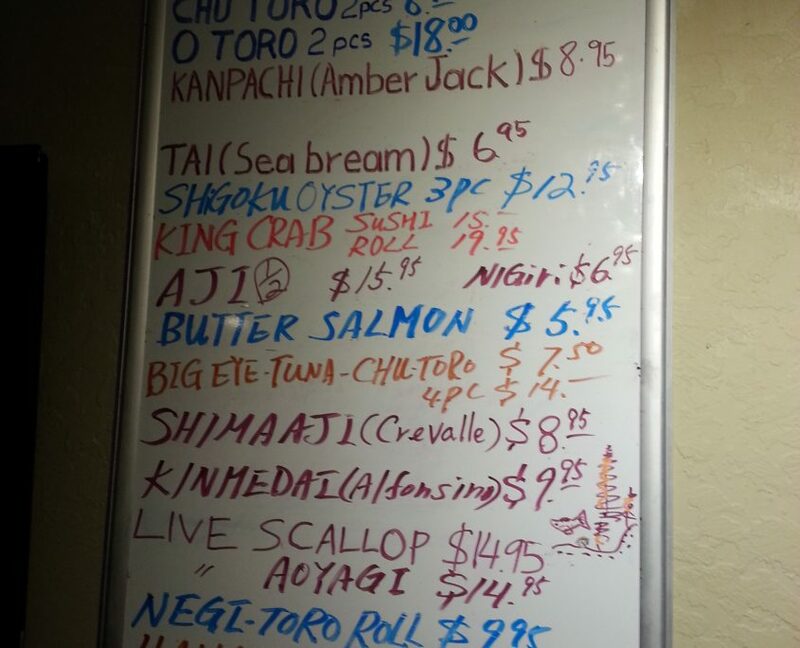 Wherever they came from, we are proud and happy to serve them at Osaka Japanese Bistro in Las Vegas! How are Udon Noodles Served? Traditionally, udon noodles are served chilled in summer and warmed in winter. Either way, they are equally delicious! Because udon noodles absorb the flavors that surround them, they are commonly served with a warm seasoned broth mixture. First, the udon noodles are placed in the warmed bowl. Then a specially flavored broth is poured over them. To enjoy, you may use chopsticks or a fork to “capture” the noodles. Then tip the bowl to enjoy the flavored broth like a soup. Udon noodles are perfect as a light lunch, or when you wish to have a healthy meal on the go. Udon noodles are not fast food in any sense, but at Osaka Japanese Bistro in Las Vegas we always have prepared udon noodles on hand for busy customers. Are you ready to try udon noodles? 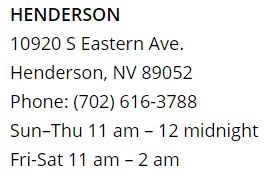 We can’t wait to see you at Osaka Japanese Bistro in Las Vegas! 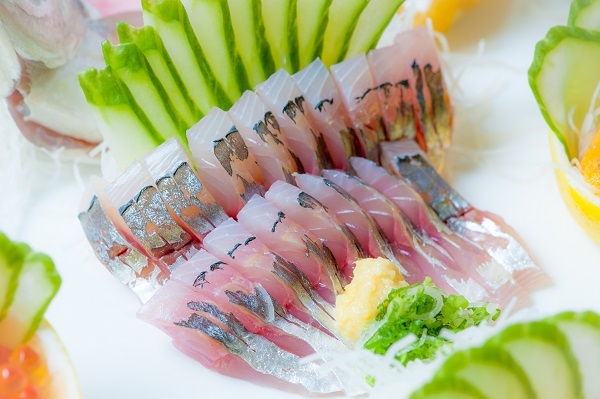 You will also find a huge selection of Japanese dishes that includes sushi, sashimi and teppanyaki specialties. Contact us today for a reservation or to order online! What’s for Dessert at Osaka Japanese Bistro? At Osaka Japanese Bistro, diners will not only enjoy our fresh and authentic lunch and dinner menu selections at each of our two Las Vegas locations, you will also discover many instant favorites from our hand-picked selection of traditional and Japanese -inspired desserts. You’ve just enjoyed a great meal, selected from Osaka’s wide menu of mouth-watering authentic Japanese dishes, prepared fresh from the best ingredients by our award-winning chefs. But you’re not done yet! From melt-in-your-mouth Banana Cheesecake to our signature Tempura Ice Cream, you will discover our dessert selections are rich in flavor and offer just the right amount of sweet reward to top off your lunch or dinner with us. Imagine vanilla ice cream wrapped in pound cake, then lightly batter-fried tempura style, and topped with our delectable blueberry sauce. 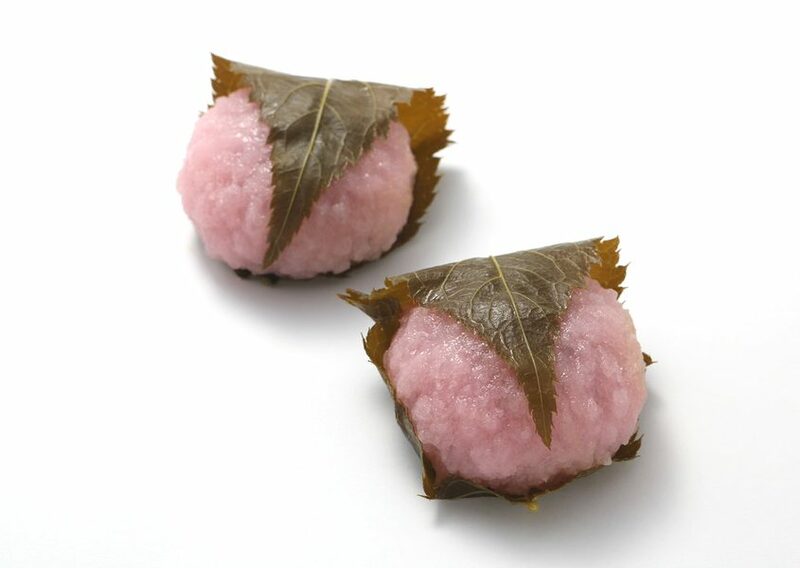 This specialty dessert is uniquely prepared and served – and has become an Osaka signature recipe you simply must experience. Enjoy our palate-pleasing take on the traditional banana split, featuring lightly battered and fried slices of banana, served with caramel and chocolate sauces. 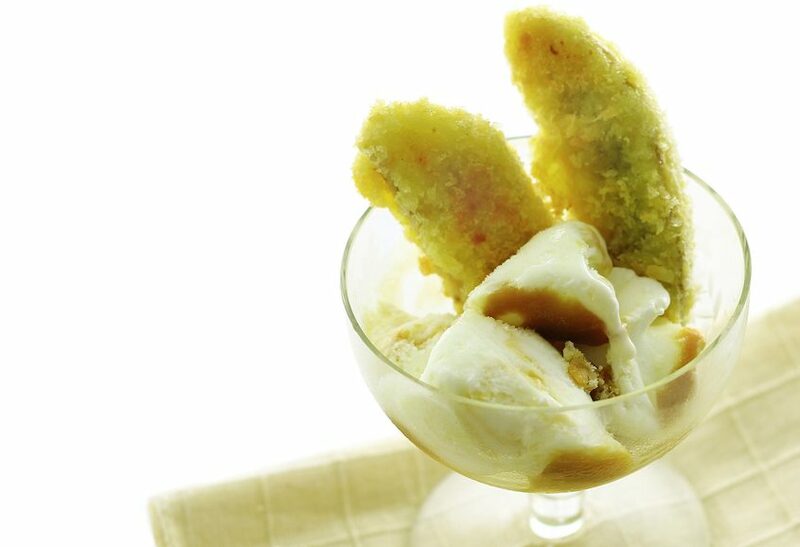 The light and crispy tempura crust marries extremely well with the sweet and creamy banana and has become a popular dessert selection at Osaka’s. Delight in our Osaka house recipe, a rich banana cheesecake drizzled with warm caramel sauce. Our Banana Cheesecake is an absolute customer favorite all year round because of the sensational balance of flavor and texture. If you have discerning taste buds when it comes to cheesecake, then you will absolutely fall in love with this house favorite. When you want more than a humdrum chocolate cake, this warm and rich spin on an American favorite will satisfy any chocolate craving. We serve this delightful dessert freshly baked with a creamy chocolate center, and of course, a la mode. Make your request when you place your dinner order to allow for the 10-15 minute bake time. 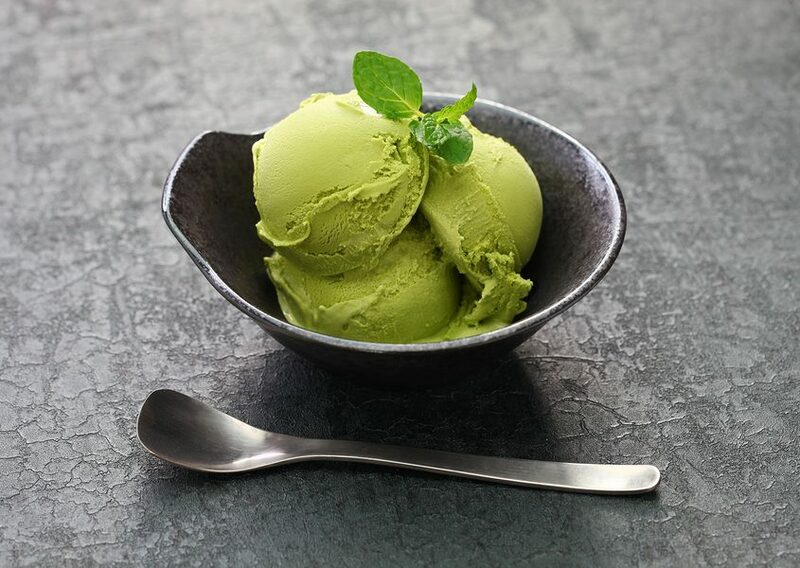 For a cool and refreshing end to your authentic Japanese meal, choose from our various Japanese flavor-infused ice cream selections including Vanilla Bean, Green Tea, Red Bean, Ginger or Plum Wine. 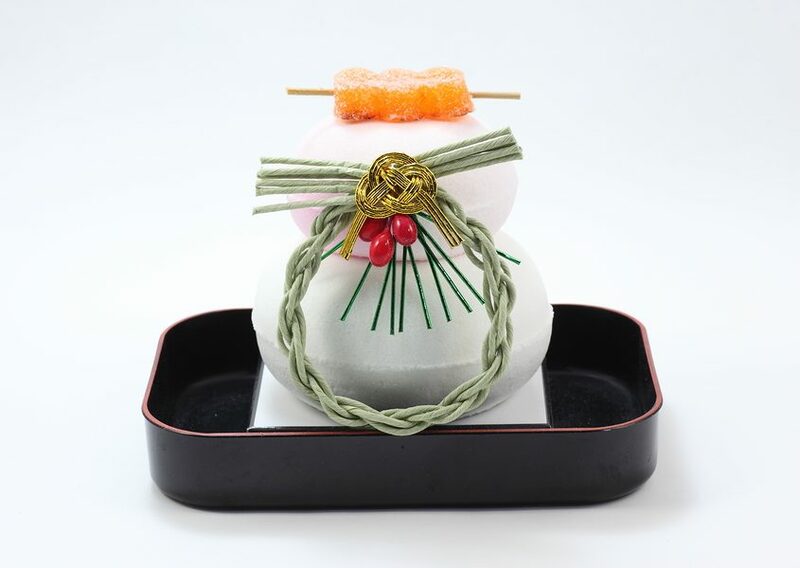 Or for a truly authentic experience, our Mochi Ice Cream has the subtle flavor and smooth texture of sweet, melt-in-your-mouth mochi dough filled with a premium ice cream center. For the perfect after-dinner chaser, our Mango Green Tea Ice Cream is not only palate-cleansing, but is also very refreshing. Enjoy fine dining and explore our delicious dessert menu at Osaka Japanese Bistro. 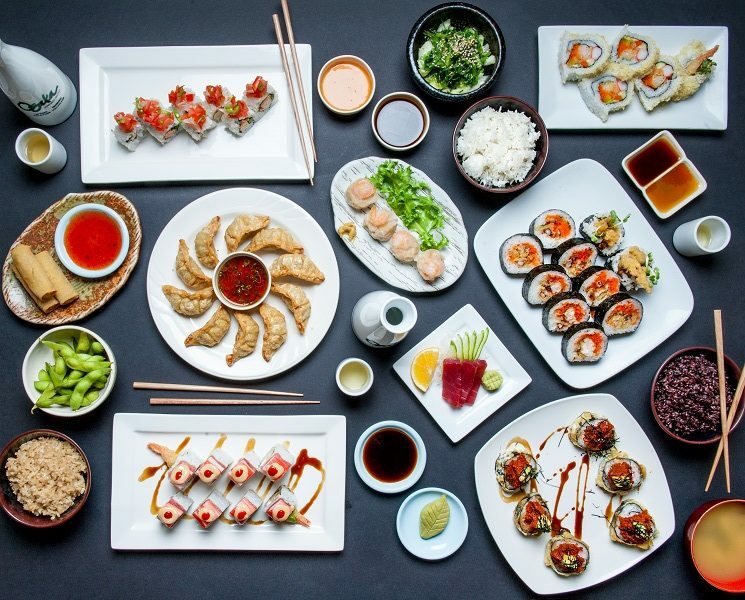 We offer fresh and authentic sushi, teppanyaki grill and an extensive selection of authentic Japanese dishes at our two locations in Henderson and Las Vegas – just off the Strip. 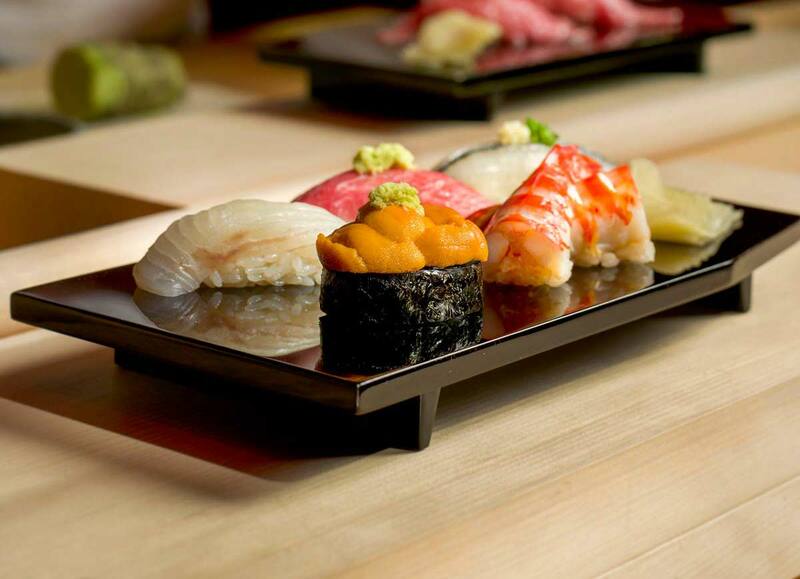 Experience uniquely Japanese culinary fare from the restaurant voted ‘Best of Las Vegas’ twenty times by our customers. https://www.lasvegas-sushi.com/wp-content/uploads/2018/04/tempura-ice-cream-with-logo.jpg 522 778 Osaka Japanese Bistro https://www.lasvegas-sushi.com/wp-content/uploads/2017/02/OSAKA-LOGO-300x130.png Osaka Japanese Bistro2018-05-07 04:00:572018-04-25 16:08:54What’s for Dessert at Osaka Japanese Bistro? Cinco de Mayo Celebration in Japan? Cinco de Mayo is one of a handful of Western festivals that are celebrated in Japan. It seems an odd choice for Japanese to recognize, but that’s mostly due to local promotion as a fun, multicultural appreciation of Mexican and other Western cuisine and a chance for music and fun. Of course, although it’s not widely celebrated in Mexico, the May 5 festival is based on a Mexican story. On this day in 1862 at the Battle of the Puebla, a small ragtag Mexican fighting force defeated the massive French army during the Franco-Mexican war. It was popularized in America and exported to other countries, including Japan. 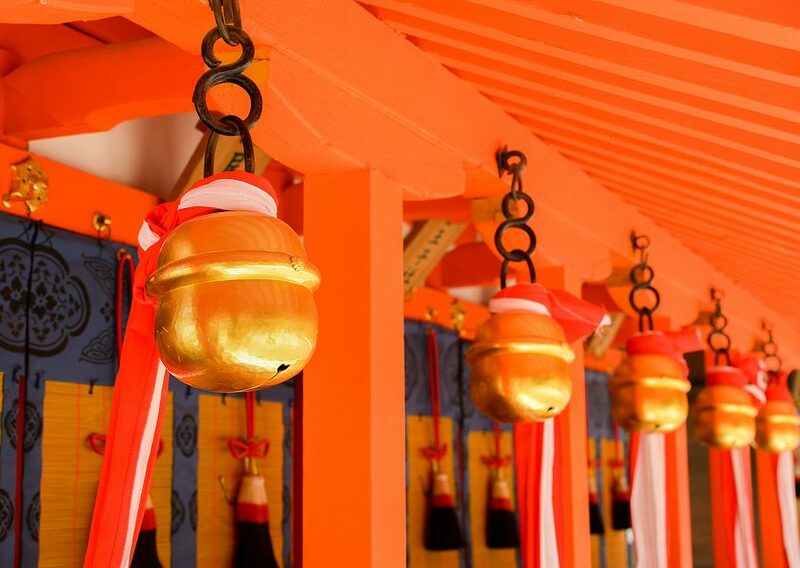 The holiday was first celebrated in Japan only in 2013 and consists mostly of a large festival in Tokyo. Attendees enthusiastically celebrate the cultures and cuisines of Central and South America with food, drink and song. They enjoy a huge selection of dishes from places like Mexico, Brazil, Peru, Chile and even Jamaica. Of course, party goers also enjoy exotic cocktails like margaritas, pina coladas and mojitos. Music offerings reflect North and South American genres like salsa, samba, jazz and rock. The celebration goes on all weekend. While Cinco de Mayo is mostly a day celebrated in Tokyo and hasn’t quite made it to every town and village in Japan, the enthusiasm for a spring weekend celebration listening to great foreign music and munching on delicious exotic dishes is spreading in popularity in Japan. Lovers of the Japanese culture and those who wish to check out Cinco de Mayo do not have to travel to Tokyo. Holiday celebrations are also held in Las Vegas which, of course, delivers entertainment as only Vegas can. The Fremont Street Experience features music and entertainers, and most bars and casinos have Cinco de Mayo specials. 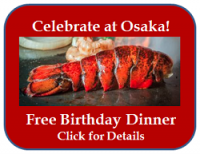 Of course, once you’ve celebrated, you’ll be hungry enough for Japanese food at Osaka Japanese Bistro, the original Japanese Restaurant in Las Vegas. 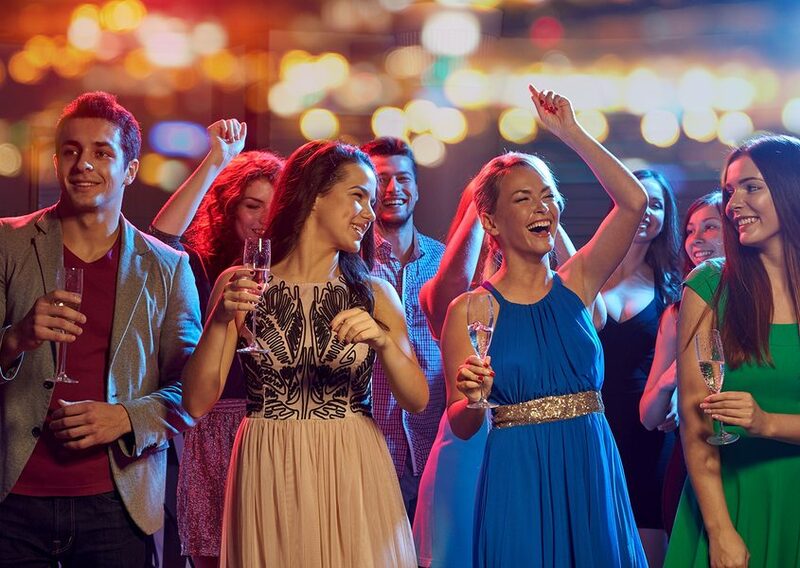 We welcome all the partygoers, whether for a sumptuous dinner or for late-night snack. Osaka provides three distinct experiences for its patrons. 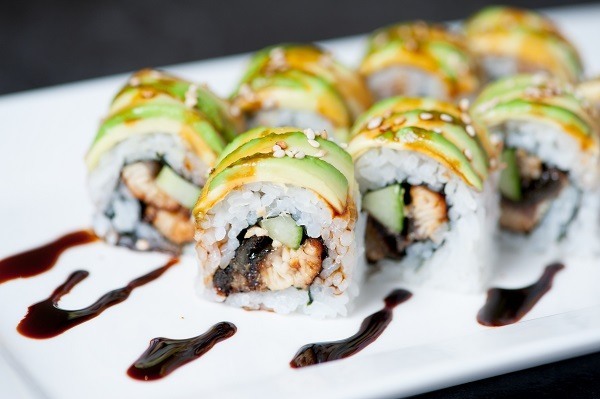 We feature a top-quality fresh sushi bar with the town’s best and freshest selection of award-winning sushi. And, we are a steakhouse where our expert chef will prepare your meal before your eyes at the teppanyaki grill experience. We also offer a huge menu of authentic Japanese dishes, something for every taste and appetite. Check out our extensive menu. 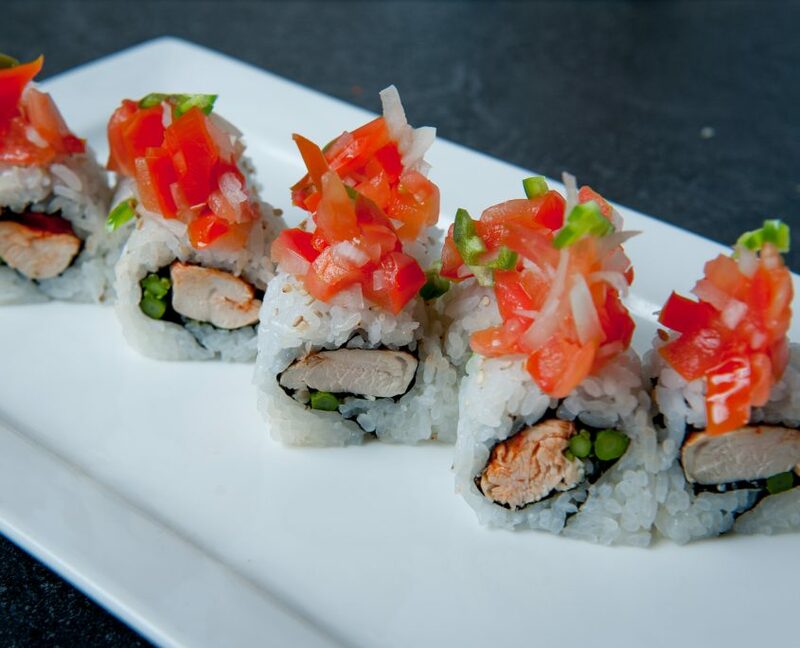 Osaka serves fabulous sushi like the el pollo loco roll at our busy sushi bar. Or enjoy your own private party with tatami-style dining for an authentic Japanese dining experience. 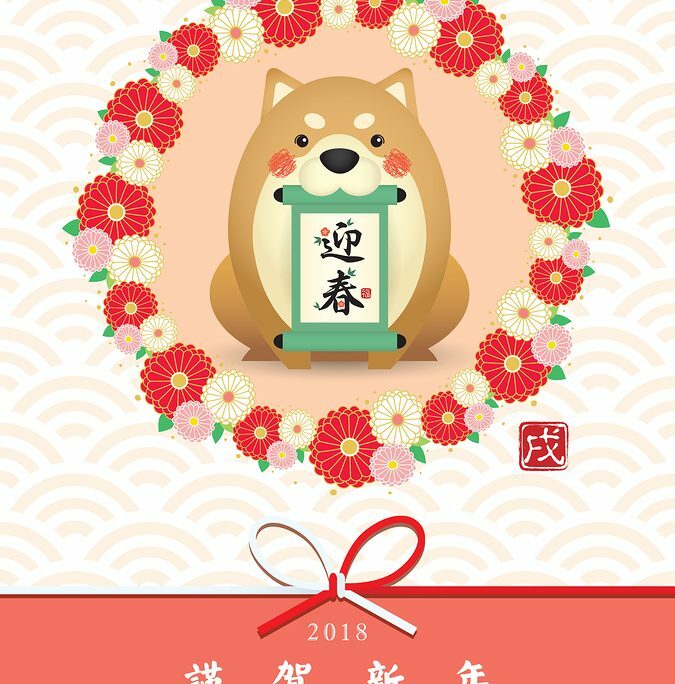 Stop in or book your space ahead of time for Cinco de Mayo or any night at Osaka Japanese Bistro on Sahara just off the Las Vegas Strip and on Eastern Ave in Green Valley. 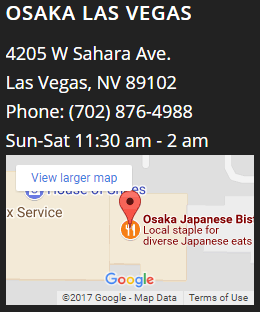 https://www.lasvegas-sushi.com/wp-content/uploads/2018/04/bigstock-Mexican-Cinco-De-Mayo-Web-Bann-235677037.jpg 335 900 Osaka Japanese Bistro https://www.lasvegas-sushi.com/wp-content/uploads/2017/02/OSAKA-LOGO-300x130.png Osaka Japanese Bistro2018-04-30 04:00:202018-04-20 14:56:31Cinco de Mayo Celebration in Japan? Yakitori: Japan’s Favorite “Fast Food”? Think: grilled chicken on a skewer. Whether it’s early morning or late evening or some time in between, it’s the craving you did not know you had. Until now. Yakitori, which basically is the Japanese term for “grilled chicken,” is Japan’s version of mouth-watering barbecued chicken. Secured on a wooden skewer prior to cooking, the chicken is grilled to perfection a variety of forms. But this gastronomic delight is not just about taste, but also culture. Chicken was once a luxury in Japan, going back to the Meiji Restoration period, starting around 1868. 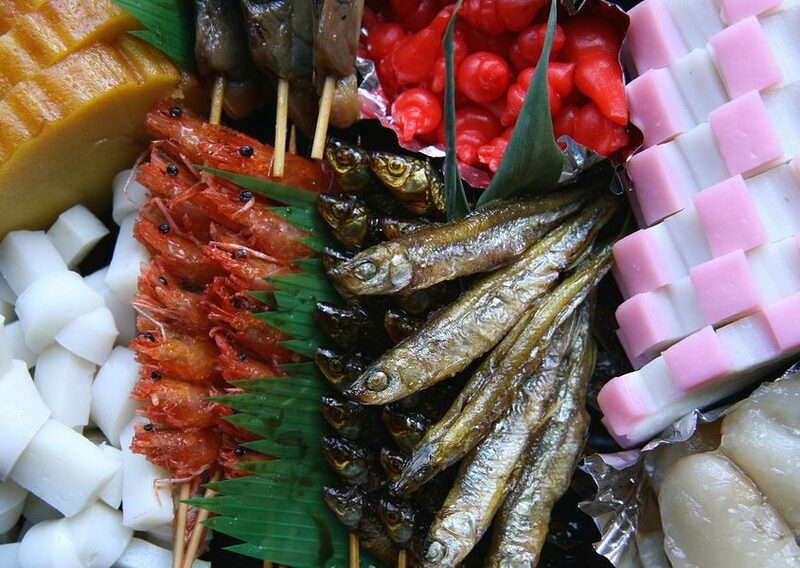 The Meiji era brought huge change, including change to the Japanese diet – the addition of meat. Chicken meat was regarded as a luxury, and greatly prized. At the same time, small stalls selling skewered fish and vegetables outside temples were already popular. Capitalizing on the demand for chicken, the first chicken kebab shop was installed outside temples. But chicken was still expensive, and the owners of these small stalls could not afford chicken meat, so they used chicken carcass or gristle they found dumped outside higher-end restaurants. This cheap but tasty version of chicken made via the popular skewering methods became a favorite. 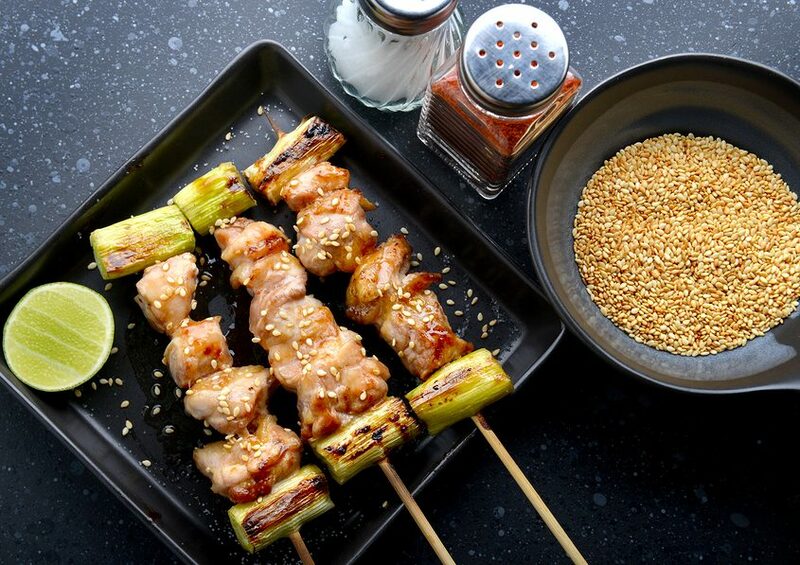 The rest is history as they say, and yakitori was cultivated to become a diverse variety of tastes and textures, becoming one of Japan’s favorite snacks. Negima. Pieces of chicken thigh meat skewered and adorned with pieces of leek in between each piece of chicken. 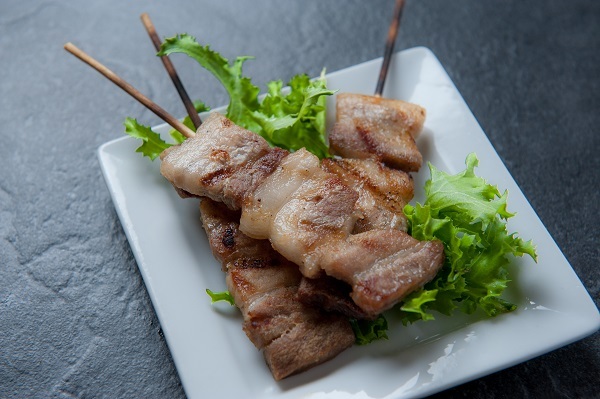 Negima is one of the most popular types of yakitori in Japan today. Momo. This is simply pieces of skewered chicken thigh meat. Tsukune. 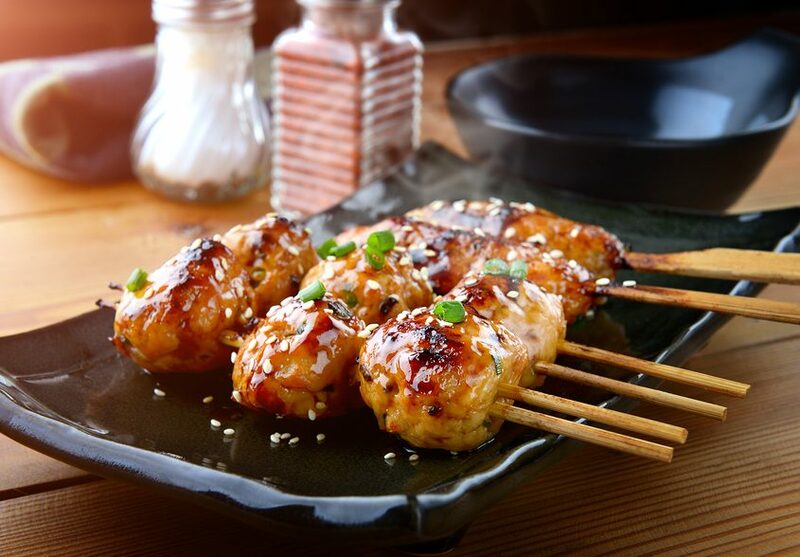 Tsukune is a type of yakitori least reminiscent of yakitori’s history, but is popular today in Japan. It is a mix of minced chicken, egg, vegetables and spices skewered on a stick as several small meatballs. Torikawa. Maybe the most reminiscent of the first grilled chicken in the small stalls outside temples, torikawa are strips of fatty chicken skin grilled until crispy. Nankotsu. Also reminiscent of the first chicken kebab stalls, nankotsu is skewered, crunchy cartilage with minimal chicken. 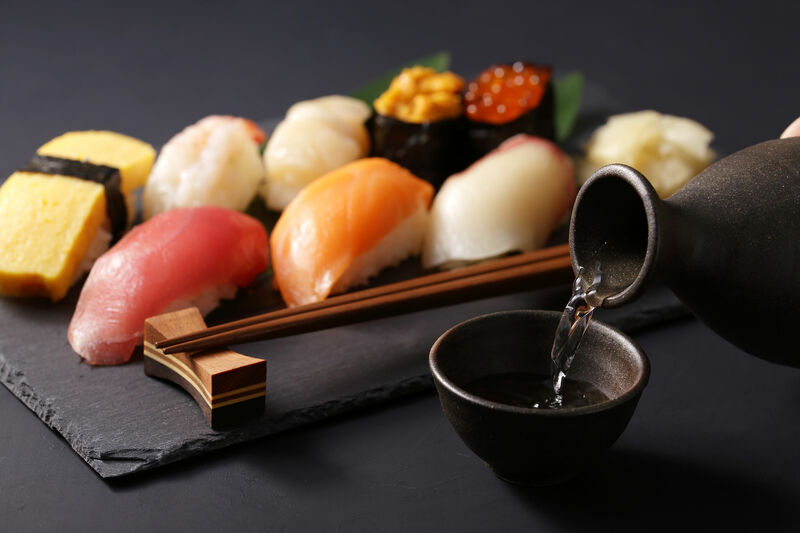 Japanese restaurants and their chefs enjoy experimenting with this traditional food with different spices and sauces. But different meats can also be used, like seafood, beef, and pork. 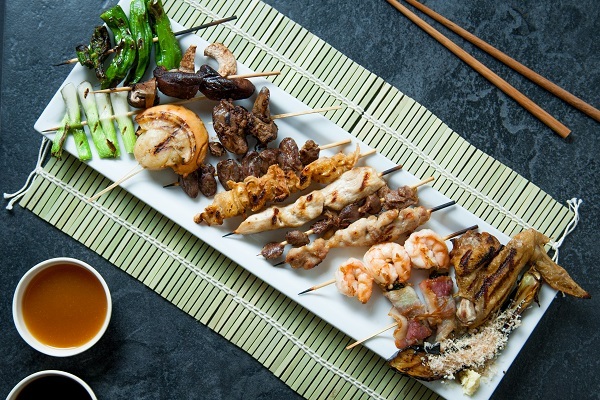 In addition to some of these tasty yakitori snacks are other kebabs that complement these chicken kebabs, like asparagus bacon, green onion, shitake mushroom, green peppers, eggplant, and shrimp. Beer and sake are often enjoyed and paired with specific types of yakitori. Traditionally, these kebabs are gilled on a rectangular clay box, only two feet long and a few inches wide. As such, the kebabs are small and delightful, and thus: snack-ish foods. 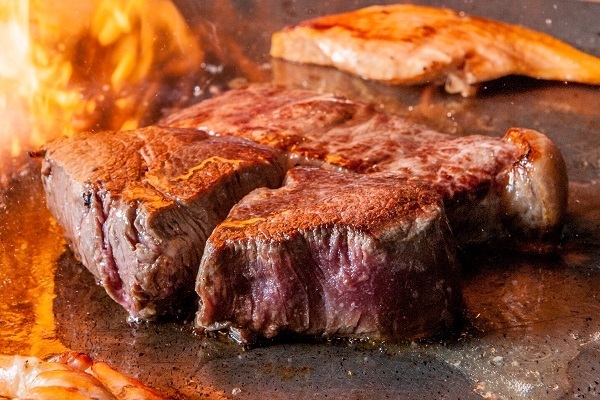 But they can also be grilled using a tabletop hibachi or a teppanyaki grill – those hot steel plates forming the center of a table at many Japanese restaurants. Mi, which is thigh meat… that juicy, meaty part of the chicken. Shiro Me, which is white meat… that healthier, tastier part of the chicken. Suna Gimo, which is gizzards… that twisted, chewy part of the chicken. Reba or kimo, which is the liver… that deep, sumptuous part of the chicken. Sinzo, which is the heart… that rich and hearty part of the chicken. Torikawa, which is the skin… that crispy part of the chicken. Tebasaki, which is the wing… a favorite part among chicken-lovers. 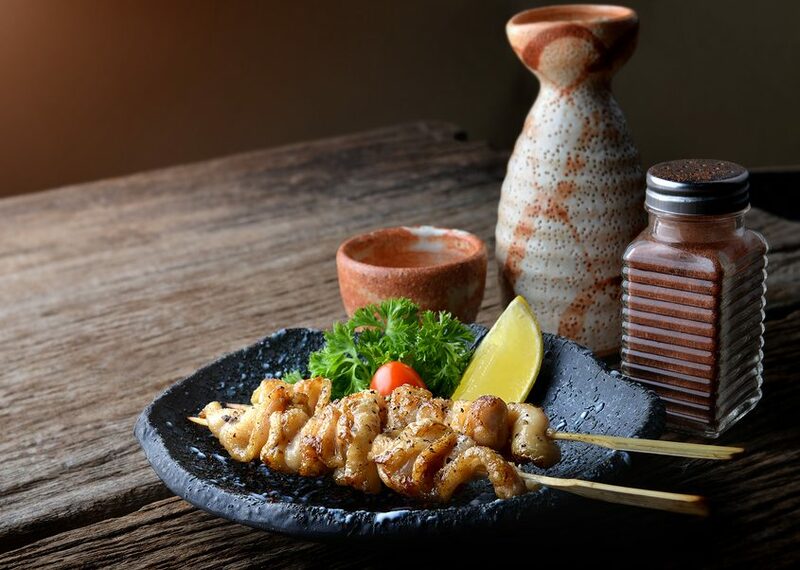 If you are in the mood for something tasty and fun, something that can be either a snack or turned into a meal, then try yakitori. There’s nothing quite like it, and it’s available close to you at Osaka Japanese Bistro, just off the Strip in Las Vegas and in nearby Henderson, NV. Come in and enjoy today. 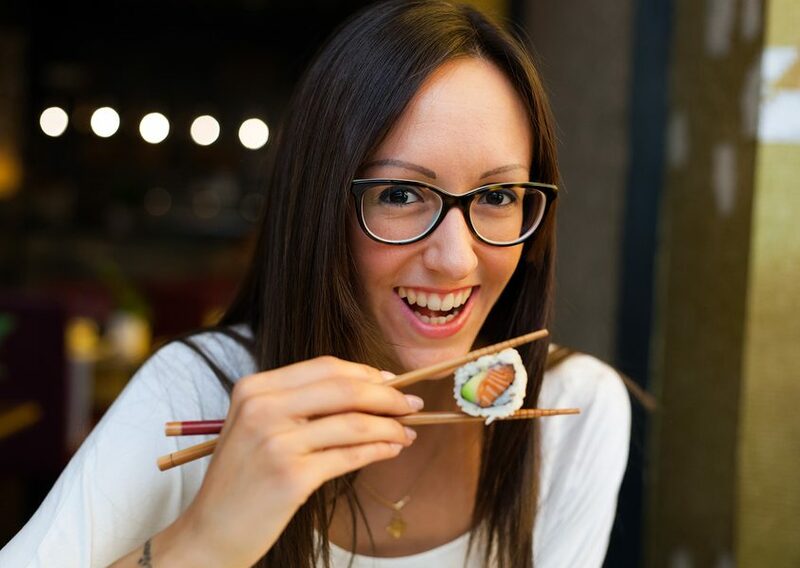 https://www.lasvegas-sushi.com/wp-content/uploads/2018/03/bigstock-Yakitori-Japan-girl-eating-199555369.jpg 601 900 Osaka Japanese Bistro https://www.lasvegas-sushi.com/wp-content/uploads/2017/02/OSAKA-LOGO-300x130.png Osaka Japanese Bistro2018-03-20 10:06:372018-03-20 10:08:46What is Yakitori? When it comes to indulging in a great dinner, steak and seafood usually top the list. It’s important to keep in mind, however, that not all seafood is created equal. If you want a truly incredible experience, elevate your plate with an award-winning combination: steak and sushi. Las Vegas just happens to have one of the country’s premier Japanese steak and sushi houses right here in town. Osaka Japanese Bistro features masterful sushi creations that could stand alone, but why should they have to? Take a look at a few of our favorite reasons why steak and sushi offer the perfect food pairing. Osaka’s amazing sushi is an experience all by itself. 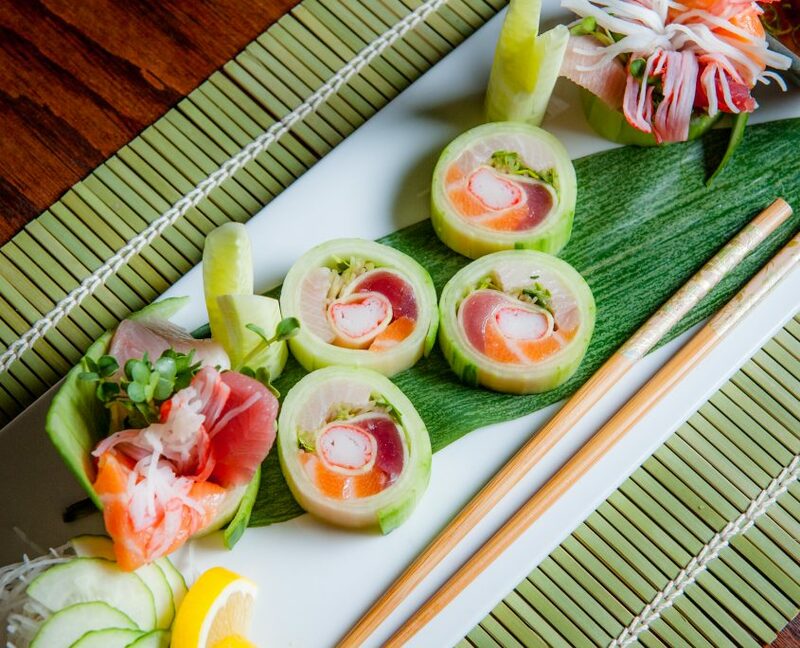 Award-winning sushi rolls, and fresh perfect cuts of sashimi and nigiri provide an infusion of flavor sensations worthy of a night out on the town. 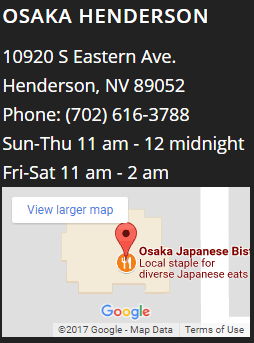 At Osaka in Las Vegas, we like to up the ante, so to speak, on the experience we offer our guests. 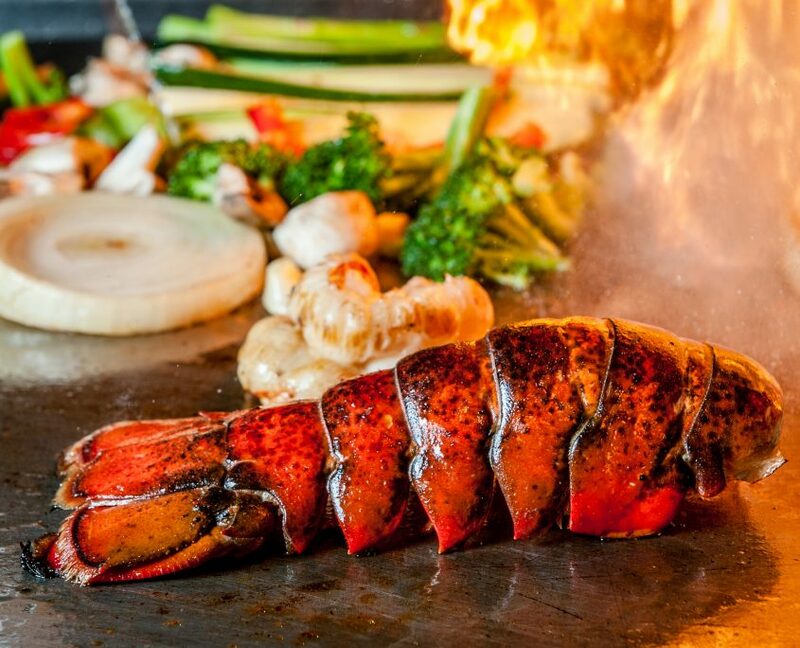 We also offer a full menu from our Teppan grill, which features everything from outstanding appetizers to filet mignon that will make your heart melt. Best of all? We invite you to perch yourself alongside our Teppanyaki chefs so you can enjoy an interactive experience with your steak and sushi selections. Steak and sushi certainly have very little in common. But, together they’re a great combination of flavors and, when done right, they’ll both make your mouth water. Why are they so great together? Great steak doesn’t require a ton of seasonings and spices, as the meat should speak for itself. 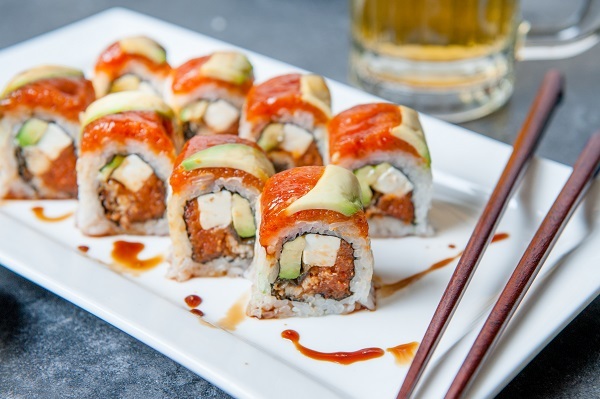 On the other hand, creative sushi invites folds of flavor that play upon each other by way of sauces, toppings, and textures. After you enjoy a bite of succulent steak, your taste buds will be excited to receive the fish-inspired flavors coming their way next. 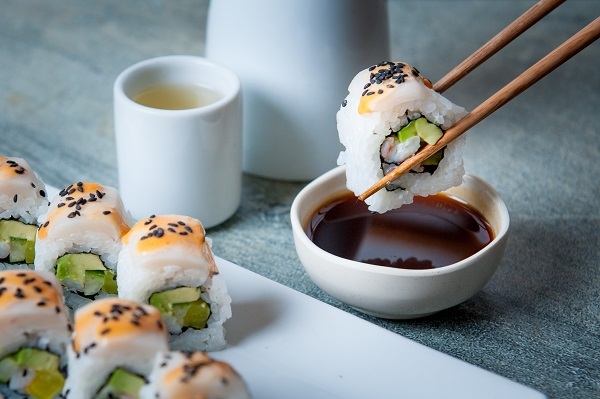 Naturally, you could go the simple route, opting for traditional rolls that have simpler ingredients and lighter flavors. Either way, if you enjoy food made fresh by craftsmen skilled in their culinary specialty, the flavors of steak sizzled to perfection by our teppanyaki chef and sushi crafted by our sushi master, you will be rewarded with an amazing dining experience. Don’t Decide Between Steak and Sushi! 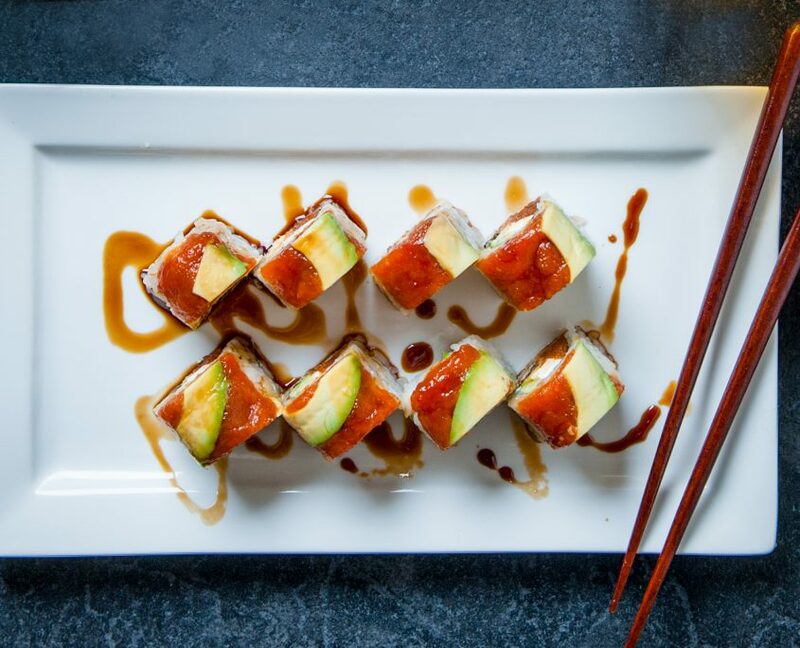 Nobody said you need to decide between a steakhouse and a sushi experience. 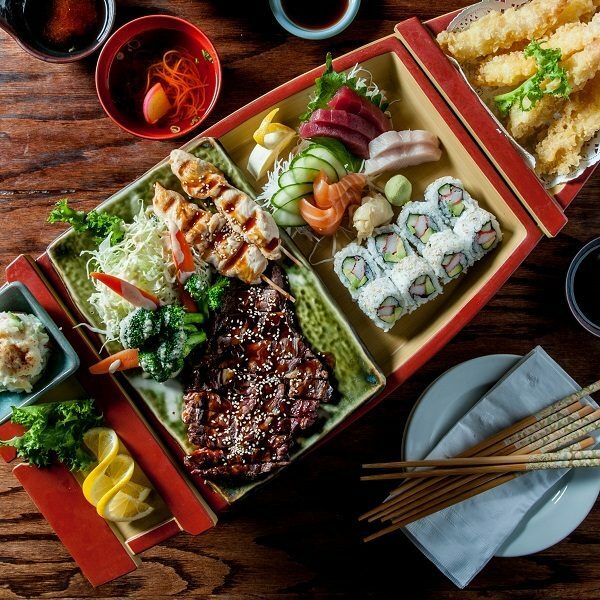 These two elements are the perfect marriage for a great night out, and thanks to Osaka’s extensive menu, there are plenty of items for you and your dining partners to sample and share throughout the evening. Osaka Japanese Bistro is Las Vegas’ premier steak and sushi establishment. From unbeatable date nights to family-friendly outings and group get-togethers with friends, we’ve happily been serving locals and visitors to Las Vegas since 1967. In fact, Osaka was the first Japanese restaurant in Las Vegas, and we’re proud to say we’ve accumulated quite a collection of awards since that time. 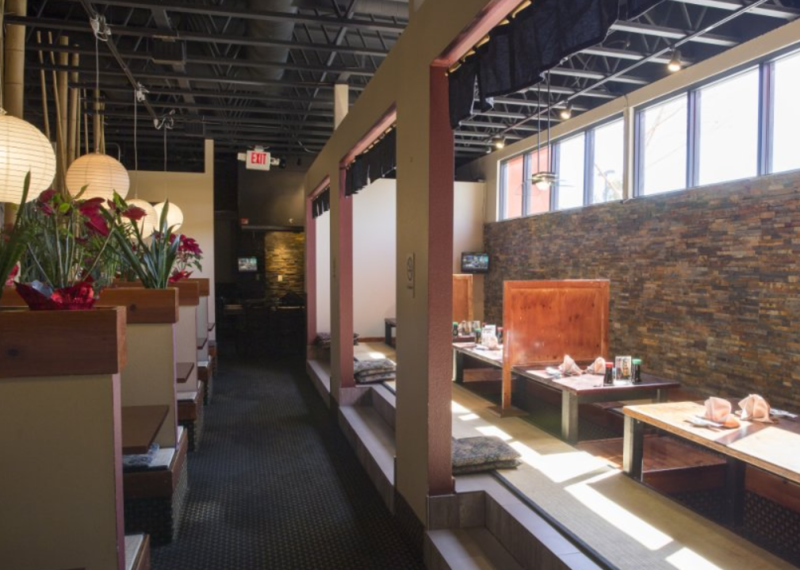 If you’re craving incredible steak and unforgettable sushi, we invite you to stop by and see us! Feel free to ask our servers and chefs which combinations are their favorites! A great Japanese restaurant invites its patrons to share in the full sensory experience that is Japan. From the purposeful presentation of each dish to the soft lighting and tranquil environment, each element of service is meant to heighten the culinary and cultural experience. 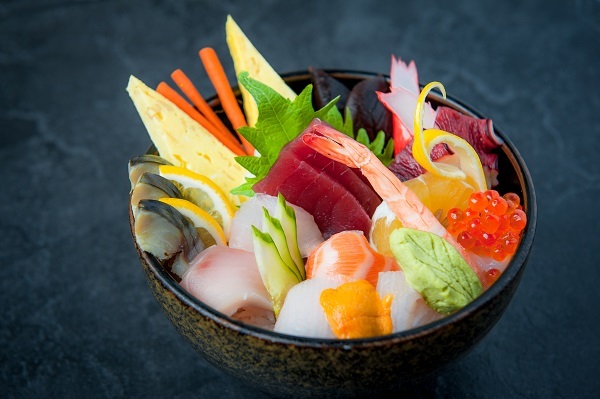 An authentic Japanese restaurant will hold true to featuring menu selections that use seasonal market ingredients and ocean-fresh fish. Even the basics of rice and noodles are cooked and served with a masterful touch of perfection and taste. For over 50 years, Osaka has been delivering world-class cuisine in Nevada as one of Las Vegas’ oldest Japanese restaurants. 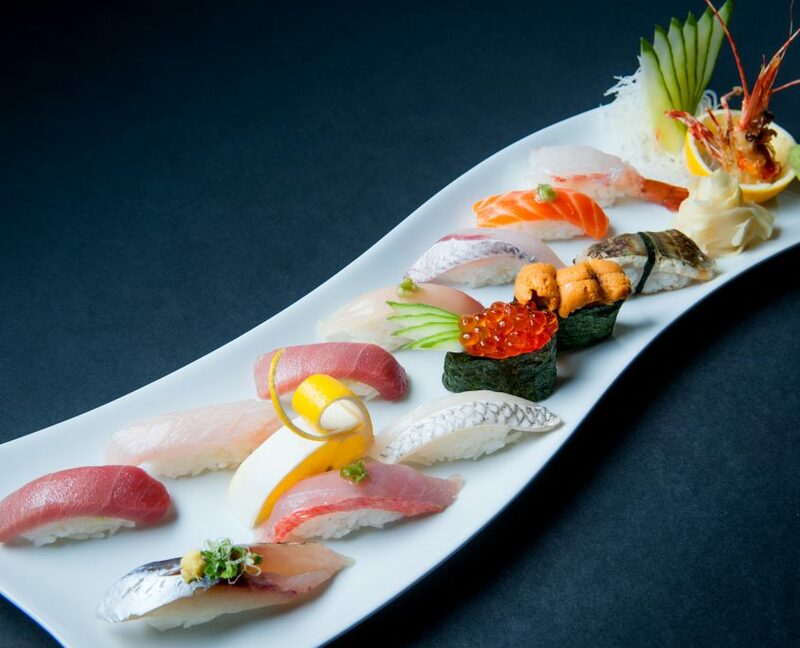 Osaka embraces a heightened sense of respect for quality and authenticity – which has earned this locals favorite repeated recognition on the “Best of Las Vegas” restaurants, being honored 20 times. 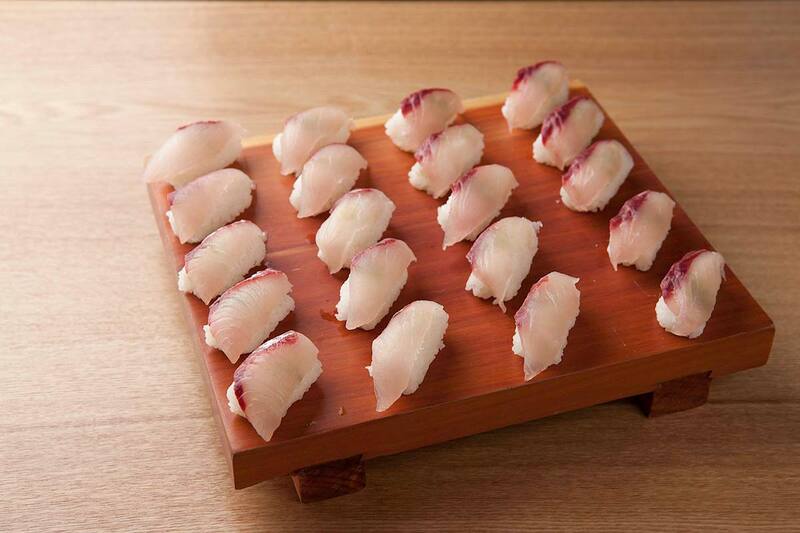 Osaka Japanese Bistro has even garnered acclaim in Japan with the Asahi Shukan 50 best restaurants award. The best Japanese restaurants never happen by chance. The challenge requires careful consideration of many factors beyond an authentic menu and highly trained chefs. From the initial tea service by a warm and welcoming staff, the entire meal experience will resemble a grand ceremony of Japanese cuisine and culture. The best restaurants must successfully incorporate a combination of quality elements in order to achieve worthy applause. Fresh seafood is crucial with the numerous dishes that include eel, squid, shellfish and a wide range of fish species not commonly served in other cultures. 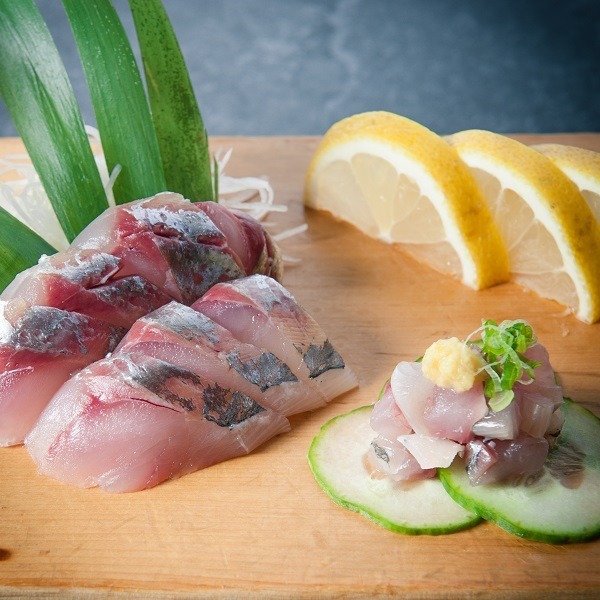 A keen and deliberate knowledge of every aspect of ‘marine catch’ is brought to bear on fish market selections, such as knowing the collagen content of each species which determines whether the prepared fish is sliced thin (sashimi) or served thick-cut (tuna). Seasonal produce is really an approval of taste, crispness, and bright appearance. Some may feel as if vegetables take a back seat in Japanese cooking, but actually, they are skillfully combined with dishes to accentuate taste or heighten texture. There is no lack of respect for hearty Japanese vegetable dishes which often include Napa cabbage, carrots, onions, leeks, tofu, onions, and shiitake mushrooms. 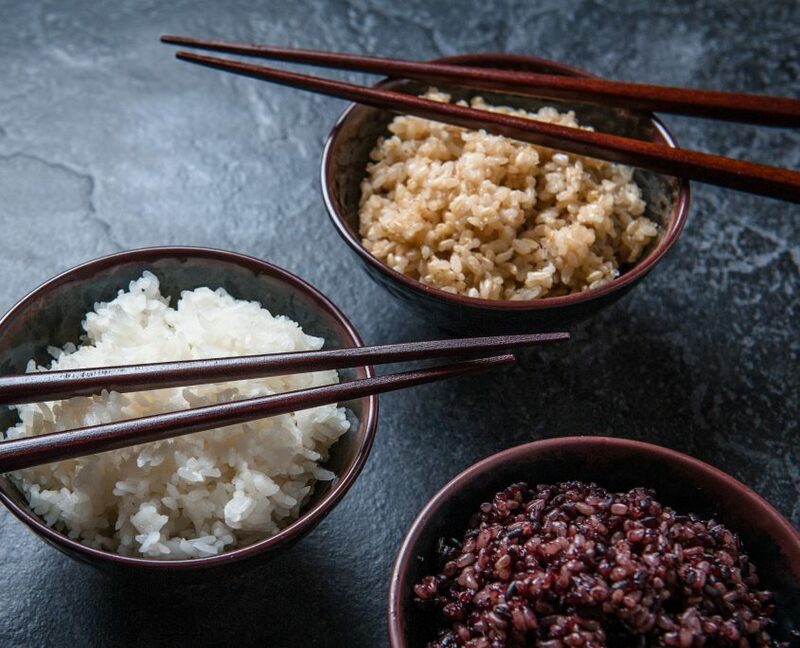 A discussion of authentic Japanese cuisine would not be complete without mentioning the skillful perfection that goes into preparing the menu’s most basic staple – that is, the rice. 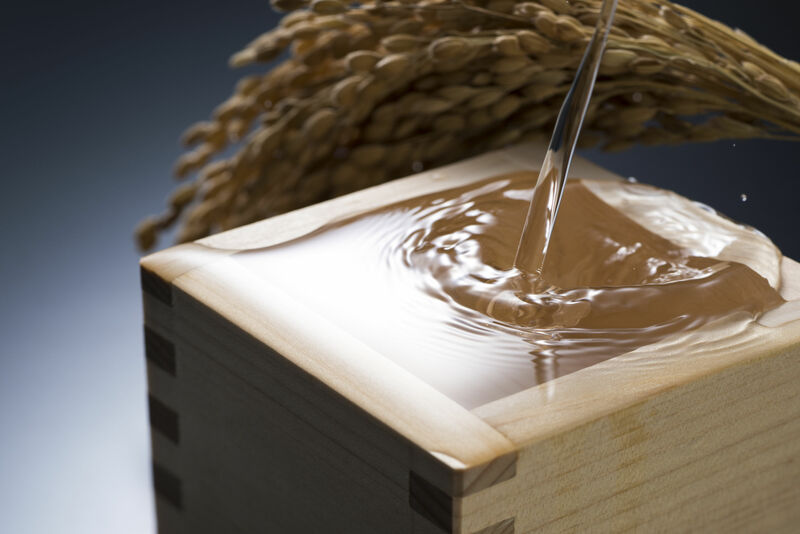 Sticky, short-grained, and of as many varieties and uses; as a base for capturing the liquid nuances of flavorful dishes, in the rolling of sushi, in the making of rice cakes (mochi) and in the fermentation of rice wine (saki), a good Japanese restaurant will always serve its rice cooked to perfection. Unique to Japanese dishes are its seasonings such as miso (soybean paste), mirin (sweet rice wine), goma (sesame oil), wasabi (Japanese horseradish), and shoyu (soy sauce) – and its spices, which include uniquely Japanese combinations of red chiles, orange peel, ginger, Japanese pepper, and sesame seeds. Soup stocks made from kombu kelp, dried shiitake mushrooms, bonito flakes, or bones and vegetables create the depth of flavor in Japanese cuisine. These are all essential pantry items in any good Japanese kitchen. And finally, the best japanese restaurants will embrace the most skilled chefs trained in the art of sushi, teppanyaki , tempura, stir-fry, and a host of other stylized cooking innovations using cookery, tools, and knives unique to Japan. The food, techniques, and the tools used in Japanese cuisine are common to no other Asian culinary region. The overall dining experience as enjoyed in a premier Japanese restaurant is immersive, satisfying, and a memorable experience.